This calendar is for HOME events/practices. *It is subject to change at any time. The J.V. Kirby Pretzel Dome is home to all High School Volleyball (including the Ray Long Pretzel Classic) and High School Pretzel Basketball Games (including the Gene Bergschneider Turkey Tourney). Pretzel Field is the home to all High School WFNB Pretzel Football Football games including the annual New Berlin Freshman Sophomore Football Jamboree and Co-Ed Varsity and Junior High Track Meets. 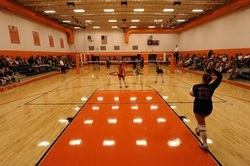 New Berlin Elementary Gym became the home of most New Berlin JH sports when it opened in September of 2009. 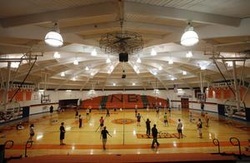 Junior High Basketball and Volleyball call NBEL Gym home. Pretzel Baseball Field is the home to the New Berlin Junior and Senior High Boy's Baseball Programs. The New Berlin Girl's Junior and Senior High Girl's play their softball at the New Berlin Softball Field. Pretzel Softball hosts both a Junior Varsity and Varsity Softball Tournament in the Spring.